The personal goods, rants, good ol talks about society. I think its a necessity to live out childhood dreams (within reason). We spend months thinking about them, planning, imagining and we grow up learning that dreams do come true. I think that if any of your dreams are ever in reach you need to reach for the chance to achieve them. Having a real life legit tea party is not really that big of a dream, but as a kid I would sit and sip water out of my little china tea set with my stuffed animals. They all talked and had personalities and made stellar guests. I always wanted to have an actual proper tea party with sun dresses and the floppy hats, the tea sandwiches and snacks. So this past weekend my friends and I had our traditional tea out the backyard. Its fun to do strange silly things like this. We tend to plan random get togethers similar to this just because they are fun different and produce memories that last a lifetime. 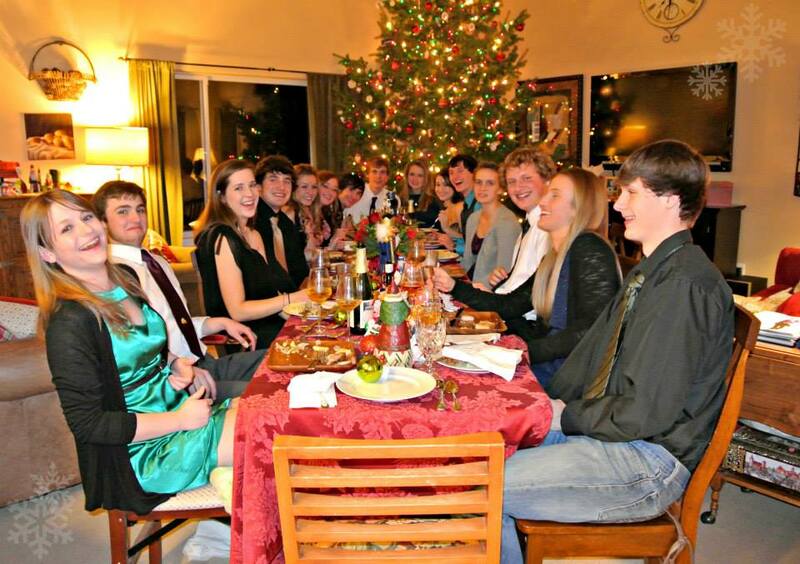 For instance back in December we planned a fancy dinner party because we wanted an excuse to get all dressed up drink a lot of sparkling cider and have a grand ol time celebrating the holiday season. 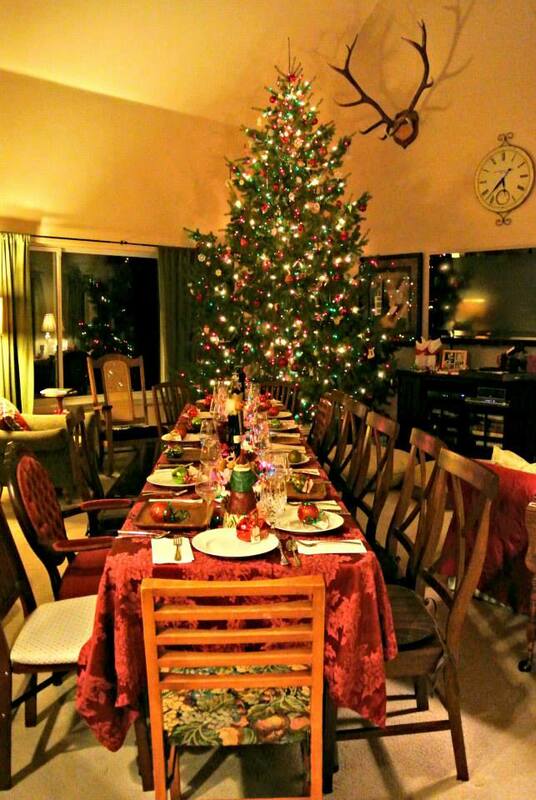 A lot of people never really have the chance to fancy up go pretend to be fancy use nice silverware and eat a decorated table to it was really fun to do that for a night and just enjoy good food and even greater company. 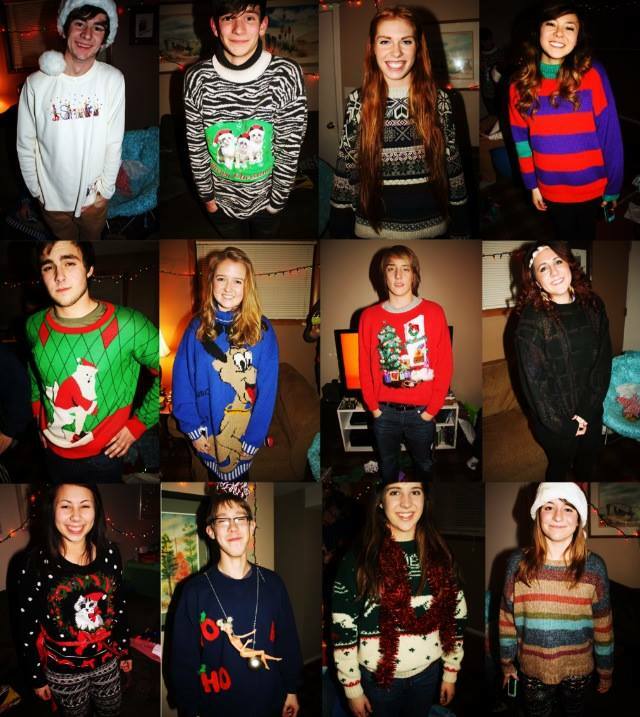 I also host an ugly sweater party every year just to be goofy and here is a compilation of some of last years gems. Yes this is a lot of talk about Christmas but the whole point is do things you wouldn’t really normally do. Plan silly things that you have thought about for a while. Just do things that are out of the box. Strive to achieve your dreams no matter how minuscule they are. It’s just about having fun and creating memories. I spent my falls, for as long as I can remember, canning and processing the fruits and vegetables from out garden. My Dad has been canning his whole life and was taught by his parents while they were still farming. Its a lost art that not many people know about or really understand. It is so rewarding to grow and eat your own food deep into the winter and for years to come. We make countless hot sauces, relishes, can green beans, carrots and much more. The sight of the colorful jars lining the shelves continuously brings a smile to my face. Weeks at the end of summer are dedicated to this wonderful “old school” task. I think its sad that many people don’t process their own food anymore. We rely so heavily on the supermarkets that fresh home grown food is hardly seen. I am so grateful that this tradition has been passed down to me. My family has always strived to be as self sufficient as possible. I suppose it starts back with the farming culture that dates back generations. My ancestors first came to Montana over a hundred years ago from Norway and we had farmed the same land up until a few years ago when the farm was sold to a Hutterite Colony. Our tradition of growing, preserving, and processing our own food has long continued. From the raspberry patch in our backyard my Mom and I make the most delicious jam and therefore can’t eat store bought jam anymore because it doesn’t stand up. We also buy a pig from a friend of ours who raises them as a 4H project. We process all the meat ourselves (minus the hams and bacon which is processed at a local place) and make sausage and other fun things. My Dad also occasionally goes to Queen Charlotte British Columbia to fish for king salmon, which we then process and sometimes smoke ourselves. This meat tastes so much better than anything store bought and it is really satisfying to know where it came from. Its also cheaper per pound than store bought. Hunting is also a large tradition in my family and my Brother and Dad go out each year. What they get provides for most of our hamburger throughout the year. My Dad also likes to grow his own hopps and brew his own beer. It is a fun experience to learn the whole process and be a part of something like that. Appreciate the Homebrew. All of this gives fall a warm and fuzzy feeling and I am excited to pass these traditions onto my future family. I think its important to appreciate home made and home grown and also to support the local markets and local bushiness. Its all a lost art and it saddens me that this culture may one day disappear. There is a trend in the world today. An all to sad one. Kids bury their faces in empty screens that show no emotion. They spend less than 8 minuets outside a day. Being outside is a punishment. They fail to see the beauty of the grass, the possibilities of the cardboard box. The fabulous lego structures good enough to be Michelangelo. Ever since I was a young spry kid, I was building and engineering things. My favorite toy was the box that all the other toys came in. I would play with that box for hours and create forts and draw and paint it. I would crawl inside and build fortresses out of my blocks and lincoln logs. I loved boxes. My box forts continued to grow larger and more complex as I grew older. At the time I had entered preschool my Dad worked at Hooked On Phonix and one day he brought me home some gigantic foam letters from his office and my brother, my best friend Kayla, and I spent days building what we thought was the greatest fort mankind had ever built. We painted it and designed furniture for the inside and it became the best hangout spot we ever had. 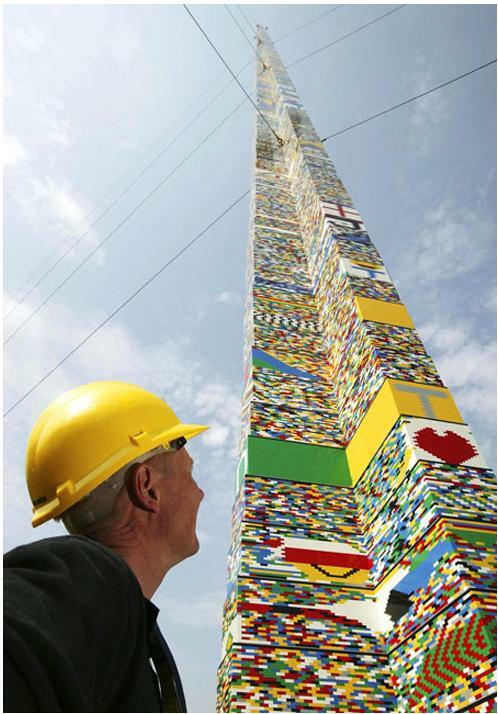 I later grew to love legos and the endless possibilities there were for creativity. Leggos brought with them no limits and so I never followed directions and instead would spend weeks building extremely detailed leggo cities that I would continuously add on to. This hands on tangibility teaches so much and is far more intimate than learning any other way. Drawing a tablet feels far different than drawing on paper. It’s the same thing as the difference between taking gym class on line and actually participating in the workouts and games. People have lost the ability to communicate face to face. They have lost the ability to appreciate their surroundings. The have lost the importance of nature and they don’t get outside. Our kids aren’t going to know what do without their technology. Outside? eww you kidding me? it so dirty and grimmy. Ewww I got a sliver I’m done for the day. This may be the extreme but It’s were our world is headed and it’s terrifying. 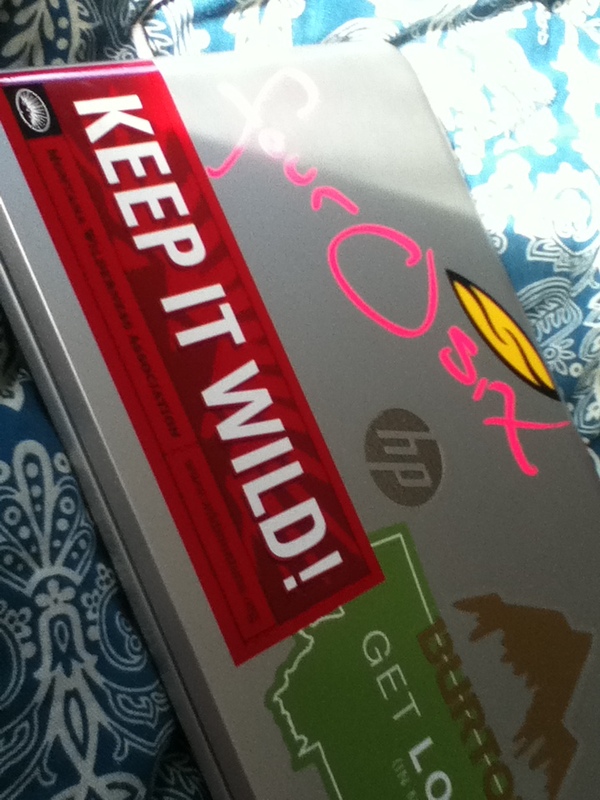 The influx of technology is in incredible and I use it everyday but there is a point where it goes to far. When 4th graders are walking around with iphones and tablets, has that passed the line? I think so. It created dependence on something that shouldn’t be depended on. Technology should be an aid not a lifestyle. When I was growing up I grew up on the mantra that the outside was my world and my backyard became castles and deserts and mountains and rivers. My creativity was free to flow and my best memories lay in dirt piles, mud fights and snow forts. I was free to go where I pleased. I wasn’t connected, it was just my bike my friends and a time to be home by. I got live and explore and feel and learn with my own hands. Sure I hurt myself and sure that sucked but I grew up tougher and I grew up with an imagination that has carried me through my young life. The trouble is this. When imaginations disappear so does innovation and this is the next generation we are raising. So are we gonna raise young creators, inventors, believers and achievers or are we gonna raise kids whose only desire is to play on their ipad when they return home. Nature is wild and beautiful but it constantly inspires. It is what should be depended on not the newest app to come out. It is important to experience it and see the beauty in our surroundings. It is important to see that cardboard box as a new fort rather than something to be discarded. So get out go play and inspire those around you to do the same. There is far more to life than screens. It’s time to see that.